45% of Americans resolve to lose weight each year. Are you one of them? A new year brings an opportunity to start fresh, especially when it comes to your roof! Everyone knows New Year's resolutions are hard to keep. Instead of going the traditional route of resolving to lose weight or save money, resolve to improve your home! Santa comes only once a year, so you definitely want your roof to be prepared! 'Tis the season to hang holiday lights, do you know how to do it safely and efficiently? 'Tis The Season to Check Your Attic Insulation! It's getting colder out and that means it's becoming more difficult to heat your homes. Have you checked your insulation? Keep up with your house this time of year! Planning to decorate your roof this Halloween? If so, you need to be careful about how you approach the project. 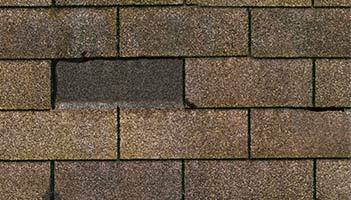 When your roof is Damaged you risk major Damage throughout your entire home.